Meet South Loop’s Favorite Burger (Hint: Not a Sandwich). Meet Mr. Burger. Yes, you are reading that correctly! This Chicago South Loop dog’s favorite hobbies include: romping in snow taller than him, giving big burly bulldog hugs, and sleeping in his cozy bed. Oddly enough, his favorite food: chicken. 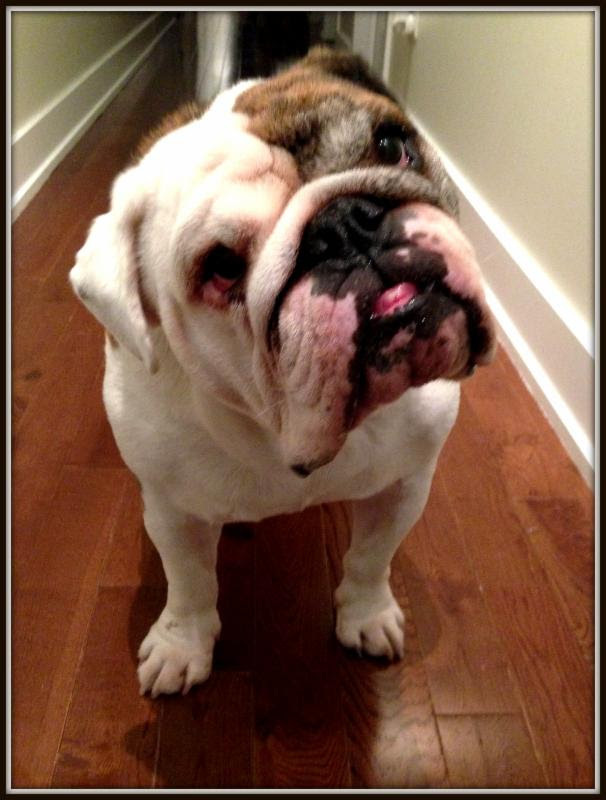 This entry was posted in South Loop Scoop and tagged bulldog, bulldogs, dog, dog nick names, dogs, South Loop on January 16, 2014 by Laura Rumage.